We’re told that cockroaches would inherit the earth if a nuclear war were to occur, due to the pests’ impressive resiliency. Like a cockroach, the American consumer has managed to survive its own version of a financial nuclear war, as a result of the global debt binge and bursting of the real estate bubble. Although associating a consumer to a disease-carrying cockroach is not the most flattering comparison, I suppose it is okay since I too am a consumer (cockroach). 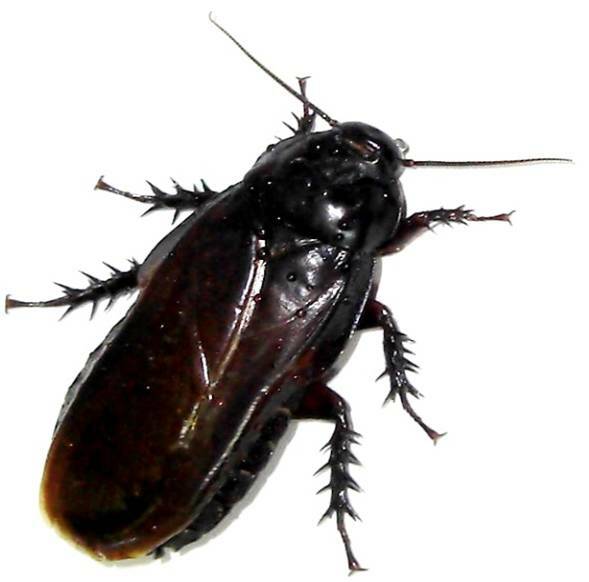 Cockroaches enjoy feasting on food, but they have been known to live close to a month without food, two weeks without water, and a half hour without air while submerged in water. On the other hand, consumers can’t live that long without food, water, and oxygen, but what really feeds buyer purchasing patterns is confidence. The April Consumer Confidence number from the Confidence Board showed the April reading reaching the highest level since September 2008. On a shorter term basis, the April figure measured in at 57.9, up from 52.3 in the previous month. Where is all this buying appetite coming from? What we’re witnessing is merely a reversal of what we experienced in the previous years. In 2008 and 2009 more than 8 million jobs were shed and the fear-induced spiraling of confidence pushed consumers’ buying habits into a cave. With +290,000 new jobs added in April, the fourth consecutive month of additions, the tide has turned and consumers are coming out to see the sun and smell the roses. 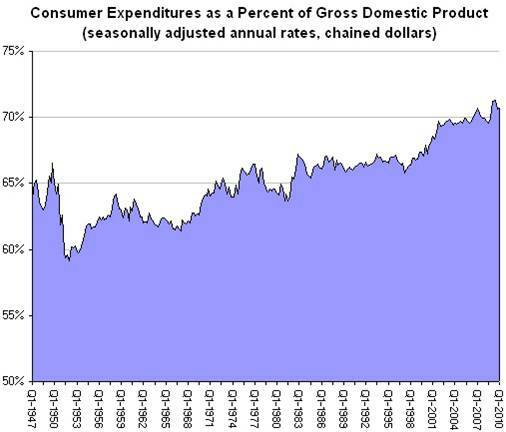 Recently the Bureau of Economic Analysis (BEA) revealed real personal consumption expenditures grew +3.6% in the first quarter – the largest quarterly increase in consumer spending since the first quarter of 2007. Sure, there still are the “double-dippers” predicting an impending recession once the sugar-high stimulus wears off and tax increases kick-in. From my perch, it’s difficult for me to gauge the timing of any future slowing, other than to say I have not been surprised by the timing or magnitude of the rebound (I was writing about the steepening yield curve and the end of the recession last June and July, respectively). Sometimes, the farther you fall, the higher you will bounce. Rather than try to time or predict the direction of the market (see market timing article), I look, rather, to exploit the opportunities that present themselves in volatile times (e.g., your garden variety Dow Jones -1,000 point hourly plunge). Can this generational rise in consumer spending continue unabated? Probably not. To some extent we are victims of our own success. As about 25% of global GDP and only 5% of the world’s population, changing directions of the U.S.A. supertanker is becoming increasingly more difficult. However, more nimble, resource-rich developing countries have fewer demographic and entitlement-driven debt issues like many developed countries. In order to build on an envious standard of living, our country needs to build on our foundation of entrepreneurial capitalism by driving innovation to create higher paying jobs. With those higher paying jobs will come higher spending. Of course, if uncompetitive industries cannot compete in the global marketplace, and a mirage of spending is re-created through drug-like credit cards and excess leveraged corporate lending, then heaven help us. Even the impressively resilient cockroach will not be able to survive that scenario. Entry filed under: economy. Tags: BEA, consumer confidence, consumer spending, debt, rebound, recession, Yield Curve. Hi Wade – I’ve been a reader of your blog for a while now and thought I’d check in. I’m a young guy in finance going for the CFA (Level II in a couple week) and hoping to manage money down the line. I really enjoy reading your blog, you have some of the best content out there. I write my own blog but it certainly doesn’t live up to yours! Keep up the great work! Thanks for the comments and congrats on your Trading Wall Street blog and CFA work (big commitment).